Youthla: Could you introduce the development of Landscape Architecture historical researches in the United States briefly? Prof. Mirka Beneš: In the early 20th century, there were already researches in English on French gardens and Italian gardens from the perspective of history of art, but I will say that the real attention to the broad view of landscape architecture started in the 1970s and 1980s. It will become, eventually and only later, a real picture of landscape architecture in a broad, comprehensive, and good sense when the history of landscape architecture includes studies of the larger landscape, the relationship between garden and agriculture, natural systems as related to gardens and parks. For this development, I think, it actually started to happen in the 1970s, and by the 1980s there was a new development that began to include the larger landscape, in which several British geographers, Denis Cosgrove and Stephen Daniels, began with an edited academic book called the Iconography of Landscape (1988), in which they gathered essays reflecting this new point of view. Then each one continued in their work through the 1990s. In 1993 Cosgrove published a book on The Palladian landscape, which is about Palladian villas, but studied in terms of agricultural production, land drainage, land reclamation, cartography and natural systems points of views. So that is on the real landscape architecture in the broad sense, not on just gardens, and this is a very important development. Then Daniels published a book on Humphry Repton: landscape gardening and the geography of Georgian England in 1999, connecting to the political and social issues, and it really set a context and that is very good. Therefore, these British geographers had a huge impact on the American researchers. Another thing happened was that contemporary landscape architects, like Michael Van Valkenburgh, Martha Schwartz, George Hargreaves, and others, began to re-theory and think about the associated questions in their field, and also begin to write on these issues. That has had a big impact on the field of the study of landscape architecture and its history. Youthla: What are the main backgrounds of the researchers in landscape architectural history researching area? Prof. Mirka Beneš: Taking myself for example, I was first trained as a painter and an art historian. Then I did art history for the Ph.D. at Yale University, and finally changed to research Architectural history in my PhD. dissertation. However, I started to touch the topic of Roman landscape in the 17th century, focusing on the Villa Pamphilj and the larger agricultural landscape in the territory around Rome. This was my transitional way from focusing only on history of gardens situated in the discipline of history of art. And very soon while getting my PhD degree the same year, I taught one year in MIT, and then I got a position in Harvard, where I taught for the next 18 years. When I arrived there, there were no course models on how to teach the history of landscape architecture. Nowadays, many of the historians of landscape architecture are designers who also got their PhD degrees. For example, I had one student named Michael Lee, who is a post doctoral fellow at the Dumbarton Oaks Center for Studies in Gardens and Landscape in Washington. He first got a Post Professional Master’s degree of Landscape Architecture at Harvard, then he did the PhD program there. He worked on the German landscapes in the late 18th and early 19th century, first on the relation between philosophy and gardens, and now on the infrastructure and large landscape works of the new Prussian state. He thus moved from the design side to the PhD. There is a new generation of historians of landscape architecture now, and a number of them did Ph.D. dissertations directed by John Dixon Hunt who is a very important historian of gardens and now the editor of a new multi-volume work, the A Cultural History of Gardens. He has taught in the University of Pennsylvania for 10 to 15 years and had a number of PhD student who also have the background of design. Youthla: What are the main current areas of research today? 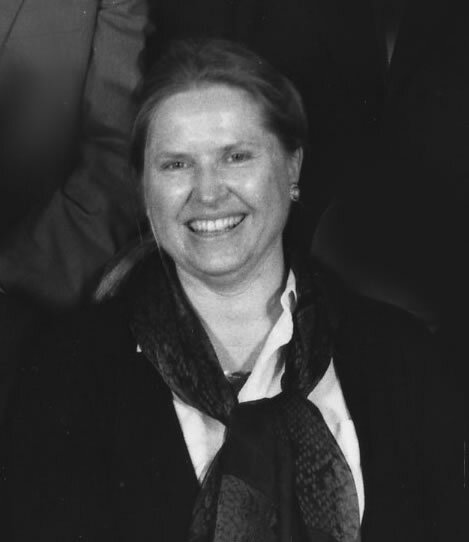 Prof. Mirka Beneš: On the website of Dumbarton Oaks which is www.doaks.org, there are annual research topics of the current and former fellows shown. From that, we can figure out the research topics of landscape architecture in these years. One recent project was on aerial photography of Landscape Architecture, topography and mapping, there are also studies of Italian Gardens, English gardens, and Chinese gardens and so on. Youthla: How did the research methodology change during this period? Prof. Mirka Beneš: I think the 1970s are an important dividing line. Before that, researchers like David R. Coffin in the US were in departments of art history. And even for Elisabeth Blair MacDougall later, who was the director later in the Dumbarton Oaks research center, her approach was to document the history of gardens as art instead of looking at other kinds of evidence. I think that a methodological change by the late 1970s and early 1980s was that the scholars of landscape architecture began to re-model the history – taking into account the history of economy, society and technology, and they looked at many different kinds of sources, much broader than what the pioneers focused on, but the work of these pioneers was foundational for everything that followed. They also began to be interested in social science, and in approaches taken from the Annales group of historians in France, who founded The Annales, the short name of the journal founded in 1929 by the group of historians, geographers and anthropologists in France, who rejuvenated the study of history through the perspective of geographical and anthropological frameworks and through an emphasis on the larger landscape as a set of living systems. That impact was to bring history and geography together. Geography is very important in the late 1970s and early 1980s. The British geographers, like Denis Cosgrove and Stephen Daniels, were major figures in landscape architecture history. Also, the approach from neo-Marxist theory, that is, about structure, society, economic production and the relation of garden to those again began to be important, but in a much more mediated way that was very significant for this field. Youthla: What do you mainly research on in the recent years? Prof. Mirka Beneš: In recent years, I am researching the Roman villas in the 16th and 17th century in the social geography of the Roman territory, but also in terms of their landscape architectural design. I looked at them in a broad perspective of land ownership – who owned the land and where and meaning of that. A particular group of gardens and parks were thought as a recreation of larger landscapes in more miniature form, and that is similar to the uses of miniaturization and representation in the Chinese. Another aspect I am interested in and have worked on is how the garden, parks and landscape are used. I do research work based on the visual representations, writings and drawings to see who used them, how they used them. I think that in the history of landscape architecture, relatively little attention has been paid, even the contemporary landscape works, to how these landscapes are used – who used them, how many women, how many men, together or separately, were active protagonists in them. Therefore, I am very interested in society, the structure of society and its impact on the gardens. Besides, I am also interested in working on the relationship between paintings and landscape architecture. I also have published on modernism in landscape architecture and not only on 17th century Rome. And it’s very interesting to study what happened in Germany in the early twentieth century, because of the new society that emerged in about 1905 to 1920 before National Socialism in 1933. The gardens were called “architectural gardens” or “natural gardens”, and they represented concepts of open air rooms and also ecological patterns, so that is another field I’m interested in. Youthla: In your history courses, what aspects of knowledge/abilities do you emphasize to educate the students? Prof. Mirka Beneš: I emphasize firstly they have a very good knowledge of the physical and visual aspects of landscape that they study. So they have a fundamental training in how do you describe the design of landscapes, what words will you use. Secondly I emphasize that they think about contexts. I require of them always to think of picturing the design of the landscape that they are studying in a broader context that has something to do with the social issues, economic and cultural issues as well as new technicalogical developments. I think the notion of situation, of situating designed landscapes in broader but specific contexts, is very important. Thirdly, I ask them to be very rigorous in their research such as graphical bibliographical research and readings. They often have to do some annotated bibliographies, and to show in writing how each book or article that they read contributes to their study. Therefore, we ask them to write quite a few papers to lead them to put their ideas into words also. At the same time, I also want them to draw by hand. Because now everything is produced by computer, so they often have difficulties in drawing properly. This will be very good practice, because if they draw a garden or landscape, they will really know it through representing every line with their hands. Another important ability they should have is what I call the conceptual framework – methodological or theoretical framework with which to look at the design of landscape. They need to have a range of approaches, for example from what I said earlier: the historian of landscape architecture needs now to bring in the full range of approaches, from geography, sociology, ecology and science, and history to the study of art. And I ask them to be aware of the methods they are using. Youthla: In China, I find a phenomenon that some students and designers of landscape architecture always don’t think highly of historical knowledge, especially the traditional Chinese gardens. I wonder whether a big reason is that we don’t really know how to get design knowledge from it. How do you think about this, and could you give some suggestions to the students and young designers about how to study histories? Prof. Mirka Beneš: I think that historical works are very valuable, and I also emphasize that to my students. Some of them are interested in the past, and many others aren’t. They like the contemporary languages that are used today. I think that the past is important because it has traditions of design languages that give students both precedents to study and examples of how the configuration of design elements comes together, the elements of the design language—this is what I call a concept of “rehearsal,” with the student studying the synthetic process of how the elements and contexts come together in a design. It means that when we look at a design of landscape in the past, in a specific artistic or cultural tradition, an original tradition, we see how conceptually the works came together, how the design language evolved. And that adds the sense of how they come together in relationship with context to evolve a model synthetically. Landscape architecture today is very synthetic, in the sense of art, technical, ecological, physical material, conceptual, social and all kinds of connections and contexts. Therefore, given the distance to the past, the early traditions in history are separate from us and in their ways are almost easier to look at. For the phenomenon you talked about in China, I think it’s a good way to students in China to draw the traditional Chinese landscape. If they are able to draw them, and through drawing them, then they began to understand how fundamental the historical design language is and how the earlier contexts were at their time. At the same time, I think it’s important to know the social background of the historic works. I just use the concept of “rehearsal” – to rehearse how the earlier things came together. You know about the social background of designed landscapes, the people who used them, as well as the larger infrastructure of the society – it was, historically, about process, and it still is about process. Youthla: You emphasize on studying and researching landscape architecture by visiting the sites of past works and experiencing them personally. What roles does site visits play in your historical research of landscape architecture? Prof. Mirka Beneš: Site visits play an extremely important role in my historical research of landscape architecture, probably the most important element in my research. There is nothing as informative and meaningful as carefully going through and studying the site. On site, I get many ideas, get a sense of the scale of the site and the designed landscape, and get a sense of how I (and others) perceive it and walk through it. I often go to the historical site with xeroxes of historical plans and prints of it–so that I can compare these to what exists on the site today. I walk through the site several times, and I photograph it at different times of day, in different light. The historical site may have many layers of change over time, so one needs to examine it very carefully, in order to understand those layers. Youthla: Many of us young landscape architects don’t know how to look and think during the site visits except for taking photographs. Therefore, what aspects should they pay attention to while visiting some famous landscape works? Prof. Mirka Beneš: The young landscape architect should explore the different ways in which the site can be perceived and be walked through. She or he should “measure” the site by pacing it–by counting the feet of its length, or the length of parts ot it, to get a sense of scale. The young landscape architects should carry with them plans or maps of the site, and xeroxes of printed views, if at all possible, so that they can get familiar with the site as it is today, compared with the historical past. Above all–they should make many drawings of the site, while visiting, and different kinds of drawings, too: plans, perspectival drawings, and details of materials and plantings. It is important to record the details of materials, because these are often overlooked; one can also photograph the details of the materials and the plantings.